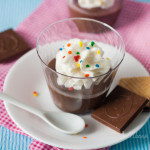 I made and photographed this easy homemade dark chocolate pudding in one nap time period. You guys, that’s bogus! It usually takes me a few hours to put together recipe posts for you, but today’s creamy pudding came together so fast I even got the dishes done before my two kids woke up from their naps. 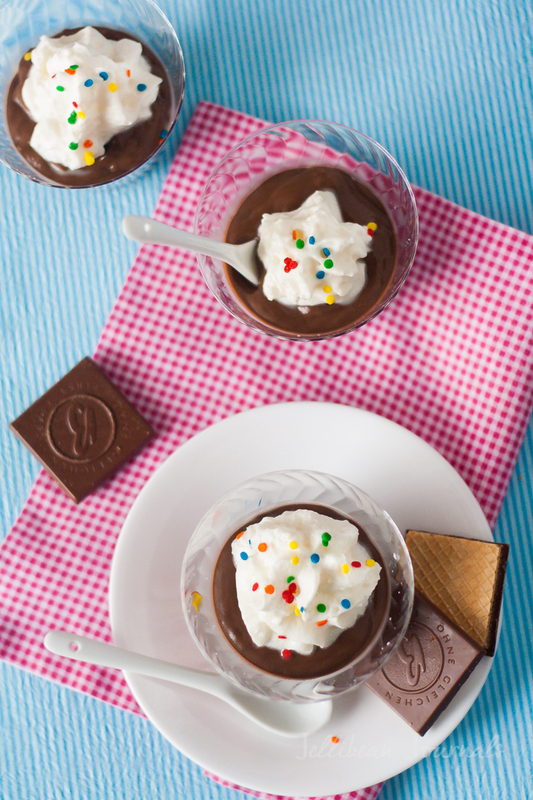 Whip this up during nap time and you can sneak a few spoonfuls of molten chocolate pudding right from the pan and no one will ever be the wiser. I know my kids aren’t the only ones who beg for samples the second they hear a food package opening. Am I right? I almost swear my toddler can hear a chocolate bar wrapper all the way down the block. This velvety pudding blows boxed pudding mix out of the water. Growing up, I never knew pudding could be made any other way than by following the Jello pudding box instructions. My first homemade pudding experience changed my life and my jeans size! So so good, guys! Why had my mother never let me in on this as a kid? Mind blown. Gobs of dark, earthy cocoa powder, a smidgen of brown sugar, and a pat of butter make this silky dark chocolate pudding shine. Of course, we’ve got to finish it off with whipped cream too. It just makes it so much prettier, don’tcha think? I added a complementary crunch factor to my pudding cups with chocolate hazelnut wafers, my new favorite cookie addiction. So glad these cookies don’t go on sale often! 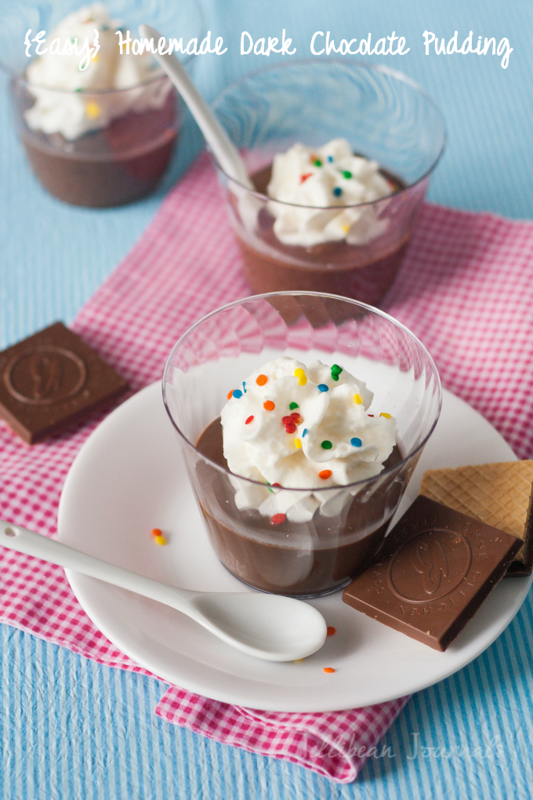 Savor your kids’ next nap time and stir up a batch of dark chocolate pudding. If you finish off the entire batch, your secret’s safe with me! Whisk corn starch, salt, cocoa, and brown sugar together in a small saucepan. In a bowl combine milk and eggs and whisk to combine. Pour this into the saucepan and place over medium heat, whisking constantly until mixture comes to a boil. Boil 1 minute and remove from heat. Stir in butter and vanilla extract. Serve warm or chill. To avoid pudding forming a skin on top as it cools, gently smooth a piece of plastic wrap over the surface of the pudding. Serve warm or chilled with a dallop of whipped cream and crunchy cookies. Store refrigerated in an airtight container no more than a couple days. Chocolate Truffle Cake– hands down my favorite dessert in the world! Tell me: What’s your favorite pudding flavor? Which pudding would you like me to whip up next? « Praise the Lord, He is Risen! I’ve always wanted to try homemade pudding! I love how thick and creamy it is. That IS impressive – baking and photographing during one naptime is an achievement worth celebrating! (with pudding of course 😉 Haha, I am one of those people who come running when I hear a candy bar wrapper! 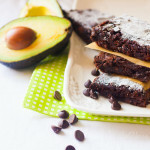 But I’d rather have pudding than a candy bar after seeing this recipe! I don’t know why I never thought about making homemade pudding, but if it turns out looking that yummy, I need to try! 🙂 You always come up with the tasty recipes, and I love your photography. How in the world do you do all of that with two little ones!??! Natalie, you’re too kind! In all honesty, I don’t know where I squeeze in time for blogging at all. Usually I make recipes during one nap period and photograph during the next or even the following day. It’s crazy business trying to edit photos, write posts, and take care of a family, as I’m sure you know all too well, but somehow we manage it. It doesn’t hurt at all that my husband is home half the day to help out too. Thanks so much for visiting and for your encouragement. Oooh, Jelli! This looks fabulous. My daughter is allergic to dairy do you think a butter substitute and soy or coconut milk would work? Yes, Jennifer, this would probably work just as well with a lactose free milk and you can just plain cut out the butter- I do that pretty often and don’t really even notice the difference. Funny you asked about coconut milk because I was conjuring up plans to make a coconut pie or coconut pie minis soon. Glad to see your smiling face around here today. Take care! This looks wonderful. You are a multitalented lady. Not only can you cook but you are also an excellent photographer. Thank you so much, Mary! 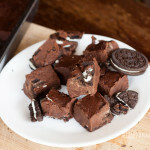 These puddings were one of my best food subjects. All the contrasting colors made the photos look good without much extra effort. Hope you try the recipe soon. Yum! This looks delicious. I have always wanted to make homemade pudding but I have a horrible time making box pudding… so I’m pretty sure I would fail at homemade pudding. Oh, Brandi, you’ve got to get some cooking confidence and try making homemade pudding. Since this recipe doesn’t require you to temper the eggs, it’s one of the easiest around. You CAN do it!!! looks amazing!!! thank you for sharing with us! You’re so sweet, Melanie! Thank you so much for the compliments. “Happy” is exactly the scheme I was going for. Bright, bold colors are what make me happy, so that explains some of it 🙂 Hope you give the pudding a try, but beware, once you make it and see how easy and delish it is, you’ll make another batch within the week. Take care and come back soon. Seriously though, this doesn’t look too hard. 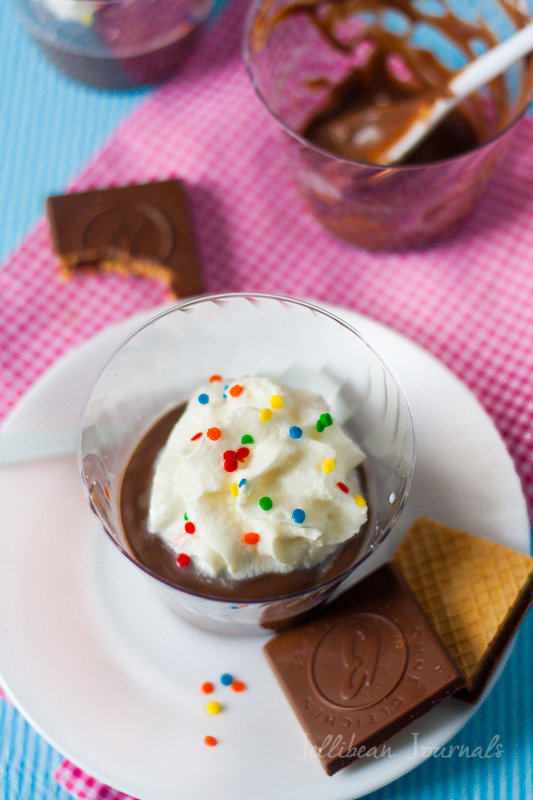 Thanks for sharing a recipe that we can whip up (pun intended) quickly while the kiddos nap! I have never enjoyed cooked pudding. Your description of this recipe makes me want to try this one though and maybe realize that Sizzler buffet shouldn’t be how I judge an entire good group! Haha, Jennifer, definitely don’t judge pudding from any experience at a buffet. I’ve had my share of those puddings and believe me, the mucky goo they serve are a complete injustice to real homemade puddings. Thanks for stopping by, and PLEASE do us all a favor and try this!! 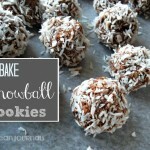 These look so delightfully delicious! Love the simplicity and the fun of it. Thanks so much for sharing! Thank you, Jonathan, for your upbeat reviews on the pudding. Hope you and your family give it a try soon! ahhhhhh… nap time. I remember those. My three year is not having it anymore lol. The pudding looks fantastic. Oh my! Chocolate is a weakness and I’m so glad I have a grocery run today. These will need to be added to my list. 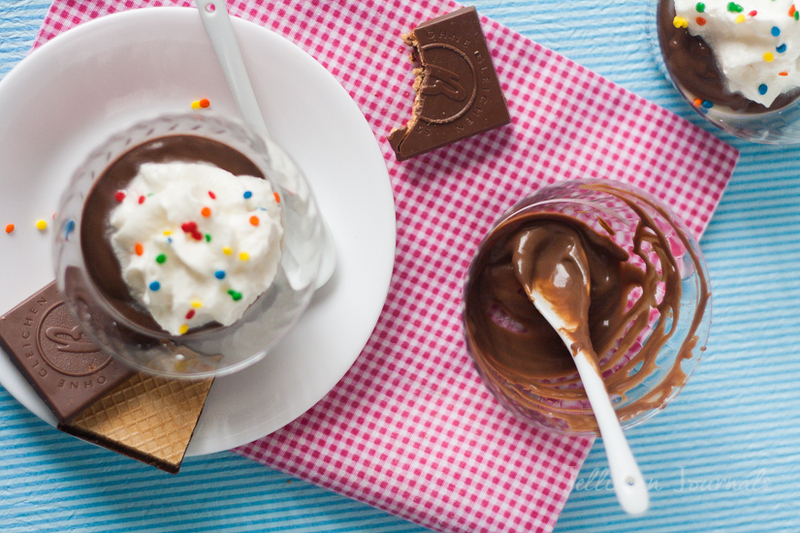 Oh think of the delicsh choc pudding pairings…mmmmmm! Hope you love the pudding, Marina. I just made it again last night too! I love pudding! 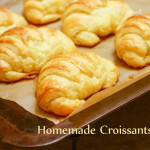 These looks amazing and so easy. Pinning so I can make some in the future! Thanks so much for sharing the pudding, Victoria. I’ve actually got a batch in my fridge right now that’ll surely be gone by 8pm tonight! Definitely give it a try, Joanna. You’ll never want a boxed mix again! Came over on Shine, and I’m glad to find your site. Sometimes 8 in the morning is thee time for chocolate! Suppose that’s why cereal brands can make so much cash with chocolate cereals! Thanks for stopping by today, Melanie. Hope you give the pudding a try this week! I love homemade pudding and I love dark chocolate. It sounds like this recipe was made just for me! 🙂 Can’t wait to try it. Of course this recipe was made just for you, Lydia 🙂 Hope you give the pudding a whirl sometime soon. My my my! 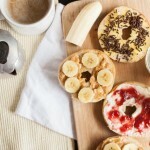 Looks yuuuuummmmmmy!!! Thanks so much, Chari! We do love desserts in my house. Looks delicious! One thing I love about your recipes is that the ingredients are “normal” and the preparation doesn’t take forever. Thanks, Pamela. I usually don’t opt for oddball ingredients both because I can’t afford them and because most aren’t available here in Costa Rica. 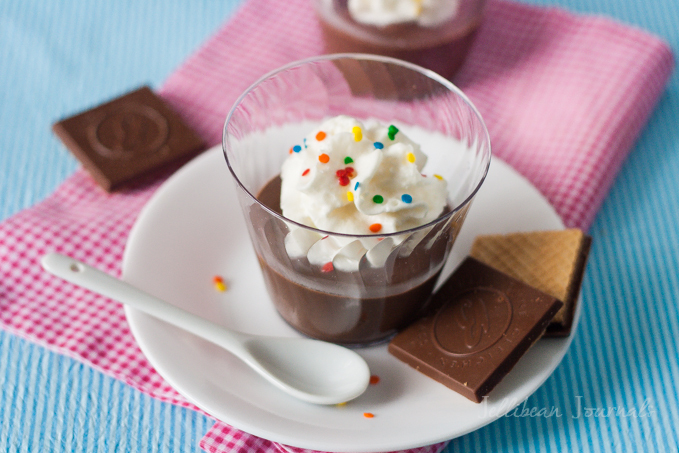 Hope you give the chocolate pudding a try soon! You will ruin my diet Jelli. Lol. But i don’t care. I am definitely trying this. Thanks for sharing…. Yeah, I ruin my own high aims for eating less sugar all the time. Hope you love the pudding, Matilda.